Version 5.7.5 of Sisense’s award winning-business intelligence software focuses on delivering improved user experience with new features that make it easier to design, adjust and provide context to data. New functionality includes pre-designed color palettes, a new table and text widgets, the ability to assign customized roles within dashboards and more. All these improvements are aimed to provide Sisense users with a more accessible and usable business intelligence platform. Control which features of your BI dashboard will be available based on a users predefined access settings. For example, you might want to restrict a certain security role ability to create new widgets but enable them to filter existing widgets. Use this feature to tailor permissions and access to data according to your organization’s policies and existing roles. 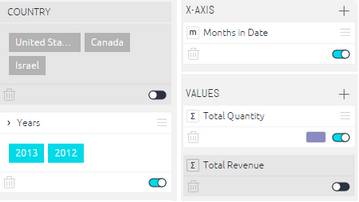 The new table widget makes it easy to get to the most granular and detailed level of data. Combine any number of fields and metrics to create a row-by-row view of the data, which can then be sorted, filtered and drilled into to see the fine details, in addition to the summarized views provided by visualization elements. Using this widget, you can now place and format custom text and links within the dashboard to provide additional context to the dashboard and analysis. Titles can be used to group connected analyses together or provide commentary to outcomes, making your dashboards and widgets easier to understand, share and collaborate upon. Users can also embed external links into text widgets to link to related resources. An individual widget can be exported as an image file to be used in offline or static reports such as Powerpoint presentations. The ElastiCube Manager can now be opened with a single click from within the Sisense web environment. The filter interface has been reimagined to allow you to adjust the order in which dashboard and widget filters appear, as well as deactivate or activate filters as needed. This means you can easily turn off or on one of the filters to see the effect on results without having to delete the filter first and allows you to work with more filters simultaneously. 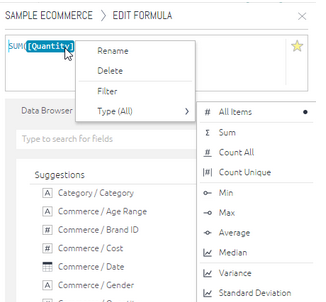 Every field within a formula is now editable. By clicking the field a menu opens making it quick to change aggregation type, filter, rename, etc. This allows you to easily change existing formulas when KPIs or analytic goals change and saves the time you would have to spend writing new formulas. Dashboard designers can apply an optimized color palettes to one or all widgets instantaneously. Colors have been selected to be balanced and offer options for corporate-branded and minimalist color schemes. 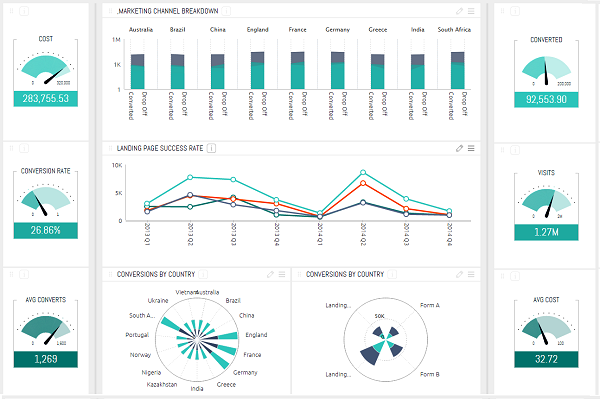 This allows you to create visually attractive and effective dashboards layouts, even without a graphic designer on staff.